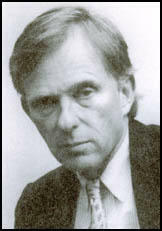 David McKean was born in South Hamilton, Massachusetts. He was educated at Harvard University and Duke Law School. McKean has worked for several politicians including John Kerry and Joseph P. Kennedy II. It was through his work as investigative counsel to Kerry on the Bank of Credit and Commerce International bankruptcy scandal of the early 1990s that McKean discovered disturbing details about Clark Clifford who was centrally implicated in the scandal. This resulted in the book, Friends in High Places (1995) that he co-authored with Douglas Frantz. 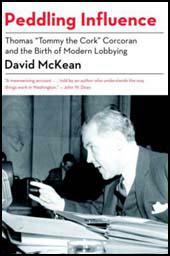 David McKean is also the author of Peddling Influence, a book about Thomas Corcoran. He was also John Kerry's chief of staff during the presidential election against George Bush. Corcoran, ever the loyal soldier to Roosevelt, agreed to help and visited his old friends in the Senate, including Senators Burton Wheeler of Montana, Worth Clark of Montana, and Robert La Follette of Wisconsin. A few weeks later Corcoran reported to the president that while these men were opposed to involvement in Europe, he did not believe that a modest aid program to China would cause them serious concern. After evaluating Corcoran's optimistic assessment, Roosevelt conveyed to him, again through Lauchlin Currie, that he wanted to establish a private corporation to provide assistance to the Chinese. Corcoran thought the president's idea was ingenious, and later wrote that "if we'd tried to set up a government corporation per se, or do the work out of a Federal office, there would have been devil to pay on the Hill." Instead, Corcoran set up a civilian corporation, which he chartered in Delaware and, at the suggestion of the president, named China Defense Supplies. It would be, as Corcoran later recalled, "the entire lend lease operation" for Asia. In order to provide the company with the stamp of respectability, Roosevelt arranged for his elderly uncle, Frederick Delano, who'd spent a lifetime in the China trade, to be co-chairman. The other chairman was T. V. Soong, Chiang's personal representative who frequently visited Washington to lobby for aid to his government. Soong, a Harvard graduate, was also Chiang's finance minister, as well as his banker and his brother-in-law. And he was a close friend of David Corcoran, whom he had met when the younger Corcoran was working in the Far East. After getting the green light to proceed with the establishment of China Defense Supplies, Corcoran hired a staff to run the company. With Delano and Soong as the chairmen, Corcoran went about appointing a politically savvy management team. First, he asked his brother David to take a leave of absence from Sterling to become president. Although David Corcoran was an extremely competent manager, Sterling was then under investigation by the Department of Justice, and David's appointment could be cynically viewed as an attempt by Tommy to protect his brother from the investigation by shielding him with a quasi-government role. Next he appointed a bright young lawyer named Bill Youngman as general counsel. Youngman had previously clerked for Judge Learned Hand, and after Ben Cohen recommended him, he landed a job as general counsel at the Federal Power Commission. To direct the program from China, Corcoran chose Whitey Willauer, who had been his brother Howard's roommate at Exeter, Princeton, and Harvard Law School. Corcoran had previously helped Willauer get a job at the Federal Aviation Administration and he knew Willauer was "crazy about China." After helping to establish and run China Defense Supplies, Willauer moved over to the Foreign Economic Administration, where he supervised both Lend-Lease to China and purchases from China. Lastly, Corcoran arranged for the Marine Corps to detail Quinn Shaughnessy, who, like Corcoran, was a graduate of Harvard Law School. Shaughnessy was given the task of locating and acquiring goods, supplies, and weapons For the Chinese. Corcoran took no title himself other than outside counsel for China Defense Supplies. He paid himself five thousand dollars to set up the company, but didn't want his affiliation with it to interfere with his incipient lobbying practice. Corcoran had only been out of the government for a short time, but he was "running" the Asian Lend-Lease program and working to defend against both the Justice Department inquiry and a potential congressional investigation into Sterling Pharmaceutical. Corcoran assembled a defense team led by John Cahill, his former classmate at Harvard Law School and an associate of his at Cotton and Franklin. Cahill was the U.S. attorney in New York and, not coincidentally, had been working with Thurman Arnold, the assistant attorney general for antitrust matters, supervising the Department of justice's inquiry into Sterling. At Corcoran's urging, Cahill resigned his post on February 10, 1941, to enter private practice. There were no laws prohibiting him from representing a client in a case on which he had been working, and notwithstanding a clear conflict of interest, Cahill immediately began representing Sterling Pharmaceutical. Now that he had help on the Sterling case, Corcoran began to take on new business. His first major client was Henry J. Kaiser, a West Coast businessman who had made a fortune from government contracts, primarily in helping build the Boulder and Shasta Dams. Corcoran had first met Kaiser when Corcoran was an attorney at the RFC and he, Harold Ickes, and David Lilienthal established the Bonneville Power Administration. Now as the country prepared for war, Kaiser recognized that the government's procurement program offered many exceptional business opportunities. Kaiser needed to know the people in Washington who were making the decisions, and he called on Tommy Corcoran for assistance. Corcoran was able to open doors for Kaiser all over town. At the White House, Corcoran introduced him to several people, including Lauchlin Currie. At the Federal Reserve, Corcoran arranged a meeting with the chairman, Marriner Eccles, who had been introduced to Kaiser several years earlier when Eccles was a construction magnate in Utah. Corcoran later boasted that through his contacts at the Interior Department he denied the Bonneville Power Administration to Alcoa, the giant aluminum company, and helped secure it for Kaiser. Corcoran also helped at the War Department, where he introduced Kaiser to William Knudsen, the former chief executive of General Motors who had been appointed at the end of 1940 to command the Office of Production Management to coordinate defense preparations. Over the course of the next few years, Kaiser arranged for $645 million in building contracts at his ten shipyards, eight of which were located on the West Coast. He netted a profit on each ship of between $60,000 to $110,000 and made millions with his assembly methods. He pioneered group medicine at his companies, creating what eventually became Kaiser Permanente, a precursor to today's health maintenance organizations. In late 1941 Johnson approached E. G. Kingsbery, an ultraconservative Austin businessman who owned a half interest in KTBC. Kingsbery had opposed Johnson's candidacy, but after the congressman helped Kingsbery's son gain admission to the U.S. Naval Academy at Annapolis, the businessman was indebted to him. Johnson told Kingsbery, "I'm not a newspaperman, not a lawyer, and I might get beat sometime. I did have a second-class teacher's certificate, but it's expired, and I want to get into some business." Impressed by Johnson's energy and initiative, Kingsbery told Johnson that he wanted to pay his "obligation" to him and simply gave him his half-interest option. The option to buy the other half was owned by the Wesley West family, who had extensive holdings in the oil industry and owned the Austin Daily Tribune, a conservative daily. Just a day or two before Christmas, Johnson traveled to Plano County to work out a deal with Wesley West at his ranch. Johnson charmed the older man, who later recalled, "I didn't like Lyndon Johnson," but said after meeting him, "He's a pretty good fellow. I believe I'll sell it to him." With the two half-interest options, Johnson had only one more obstacle to overcome in his purchase of the station - approval from the Federal Communications Commission. To help navigate the process, Johnson called Tommy Corcoran. When Corcoran left government and had been looking for clients, Johnson made sure that he was placed on retainer by the Houston contracting firm of Brown and Root, owned by George and Herman Brown, who had financed Lyndon's previous campaigns. Corcoran had been paid as much as fifteen thousand dollars for "advice, conferences and negotiations" related to shipbuilding contracts. Now it was Johnson looking to Corcoran to help him with a business proposition. Corcoran did not disappoint. As Corcoran later told Johnson's biographer, Robert Caro, "I helped out all up and down the line." Corcoran had an important contact at the FCC: James Fly, the chairman of the commission, had been his classmate at Harvard Law School and owed his appointment in good measure to Corcoran. Justice Frank Murphy later told Felix Frankfurter that he had helped get Fly the position as a favor to Tommy Corcoran. According to Murphy, "[It] was at Tom's request that I gave the former Chairman a ten thousand dollar a year job so as to create a vacancy into which Fly was placed." In February 1960 the New York Times reported that while Senator Johnson "stubbornly contends that he has no plans, or expectations of becoming a candidate, several aides, including Corcoran, were working for him behind the scenes." The article quoted Corcoran as suggesting that he was used for "the testing of new ideas." Three months earlier Corcoran's good friend, the seventy-eight-year old Speaker of the House, Sam Rayburn, had returned to his home state of Texas to announce the formation of an "unofficial Johnson for President campaign." Rayburn's announcement followed that of Senator John F. Kennedy, who had declared his candidacy for the presidency in the Senate caucus room a month earlier, and Senator Hubert Humphrey, who had tossed his hat into the ring at the beginning of the new year. Sensing that he had a greater name recognition than any of the declared candidates, and desperately seeking vindication after two stinging previous defeats, Adali Stevenson allowed others to present his case. Senator Stuart Symington had decided to wait in the wings, hoping that in a deadlocked convention he would become the consensus alternative. Corcoran was one of a number of prominent New Dealer-era luminaries, including Eliot Janeway, Dean Acheson, and William O. Douglas, who were supporting Lyndon Johnson. Presidential chronicler Theodore White later called the group "a loose and highly ineffective coalition," which was not entirely fair since it did manage to raise nearly $150,000 for Johnson's undeclared candidacy. LBJ himself decided not to campaign actively; as majority leader he believed he couldn't neglect his Senate duties to mount a full-scale campaign. In late 1964, however, Corcoran was preoccupied with a political scandal. Only weeks after Johnson was sworn in as president, Bobby Baker got into trouble for fraud and tax evasion. Baker had been LBJ's closest aide and most important adviser in the Senate. He and Corcoran had known each other for many years, and although never close friends, their mutual respect for Lyndon Johnson and the fact that they were both political operators meant that they saw one another often. Tommy had actually helped Baker buy his house in the affluent section of Washington known as Spring Valley. Corcoran had learned that Baker and his wife, who was expecting their third child, were looking for a larger home. At the time, Tommy was representing Tenneco, and he knew that a house under construction - originally intended for one of the company's vice presidents, who had been recalled to Texas - was slated to go on the market for $175,000. Baker was encouraged to put in a bid of $125,000, which was accepted. Although Baker never recalled doing any special favor for Corcoran in return, Tommy always knew that he was owed one. In January 1964 Baker was indicted by the U.S. attorney in Washington for tax evasion. The former Capitol Hill aide sought out John Lane, whom he had known in the Senate and who by now had established a small but highly regarded law practice. Lane did not have a white-collar defense practice, but he knew that Tommy Corcoran's brother, Howard, practiced in New York with Boris Kostelanitz, a respected attorney who had handled several criminal tax cases. Lane and Baker went to see Corcoran in his office. As they sat and talked on Corcoran's leather couch, Corcoran's secretary came in and told Baker that Attorney General Robert Kennedy was on the telephone. 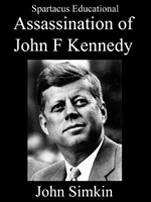 Kennedy wanted to assure Baker that he had not personally ordered the case against him and that his knowledge of the case came only from newspaper clippings. Baker retained Kostelanitz to defend him on the charges of tax evasion and retained Edward Bennett Williams, the renowned criminal lawyer, as his counsel. The case was assigned to judge Oliver Gasch of the district court after several judges reportedly rejected it because they personally knew Baker. Ironically, Gasch, a close friend of Howard Corcoran's, owed his appointment to Tommy Corcoran. But much to Baker's chagrin, Corcoran didn't intercede on his behalf, probably because Lyndon Johnson never asked him. The president, according to one lawyer close to the case, "didn't want to touch Baker with a ten foot pole." He (Tommy Corcoran) placed literally hundreds of lawyers around Washington. That’s what made him so influential - he knew people everywhere. Clifford and Corcoran shared a deep knowledge of the issues they lobbied on and spent a lot of time cultivating the personal relationships that mattered dearly in those days. They both spent a lot of time as statesmen behind the scenes, too. In Corcoran’s day, he could walk the halls of the Senate and pop into any senator’s office. Now it’s much more difficult. Power is more diffuse; staffs are huge. Lobbyists are highly specialized. It’s still a huge industry, but no one person has the level of influence that Corcoran or Clifford may have had.